These MICROFOAM products can be used more safely than Di-nitroso Pentamethylene Tetramine. 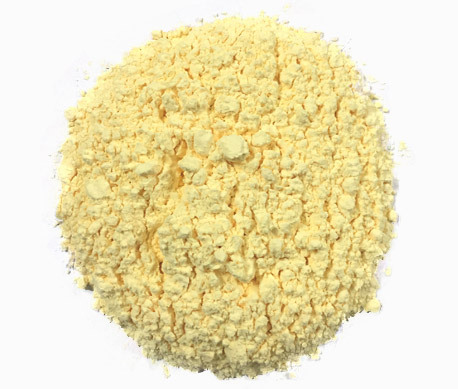 Cross blends of Blowing agents is a Chemical Blowing Agent in powder form for the production of Cellular Products based on thermo plastic resin such as EV Co-Polymers. PE, is recommended for compression moulded Shoes, Slippers & Packing Sheets. shoes / sandals when required light colour products at a low temperature processing. Foam sheets based on EVA and rubber. Cross blends of Blowing agents leaves very little residue. The residue is odourless, non discoloring type and does not impart colour to the finish product. Cross blends of Blowing agents disperses easily in Polymeric compositions resulting in a fine uniform cell structure. 5 – 8 PHR depending on the polymers used & extent to expansion required. Cross blends of Blowing agents is also packed in 25 Kgs. HDPE woven bags/ UN approved corrugated paper cartons with a polythene liner inside. Cross blends of Blowing agents is non flammable and does not support combustion. Decomposition of Cross blends of Blowing agents heating causes evolution of fumes resembling smoke. In case of Fire, use plenty of water, dry powder.